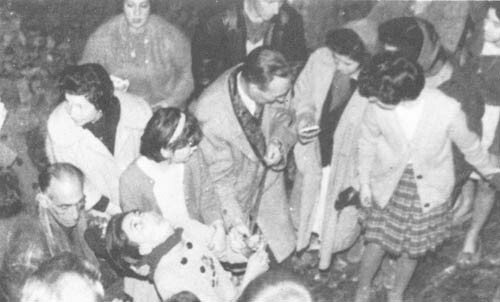 Dr. Ortiz checks Conchita's pulse during an ecstasy. 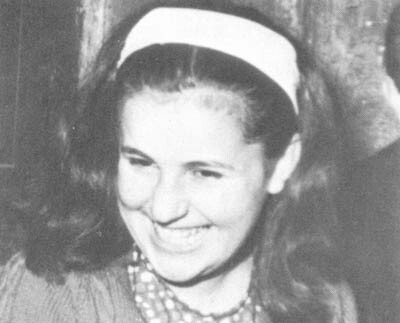 In a letter dated February 2nd, a pediatrician writes: "The point that still draws my attention is that, after seven consecutive months of marvelous ecstatic trances, the children are still, in my opinion, absolutely normal, although many people, even without seeing for themselves, maintain that it is all due to pathological causes." "What a strange disease! One which is announced days or months in advance. In childhood, mental disorders of all kinds present characteristic symptoms which are: continual lethargy, troubled sleep, aggressiveness of character and an uncontrollable outward anxiety. After eight consecutive months of this, not only do they not show any of these symptoms, but quite the opposite."